Covenant by W.D.Carslaw, and The Book of the Old Edinburgh Club vol III. accommodated Parliament for a while, together with the Court of Session and the Justiciary. 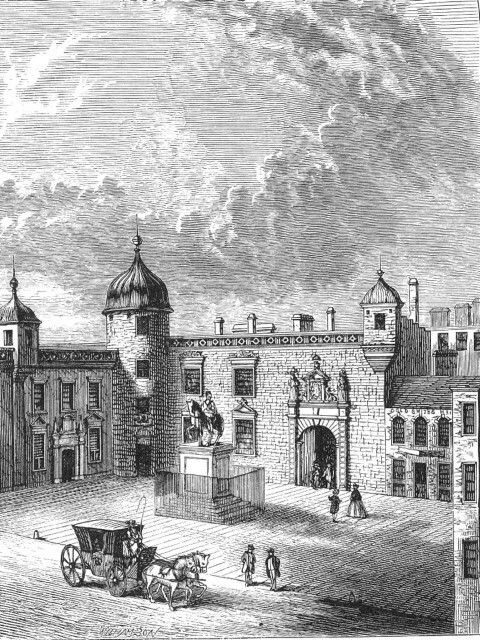 It was as a prison though, that it became famous. 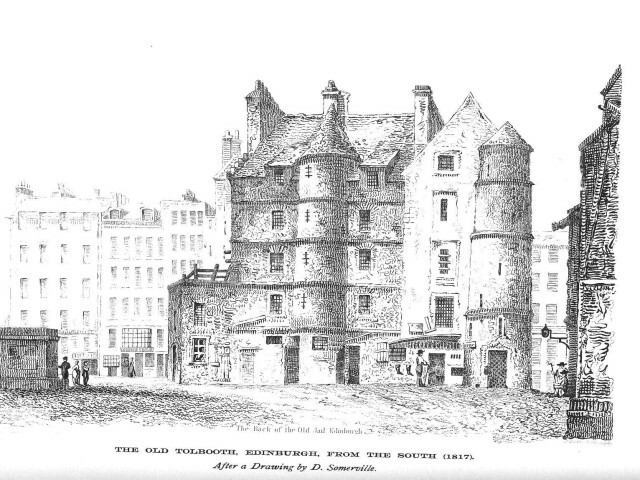 most of 1675-9 in the Tolbooth. 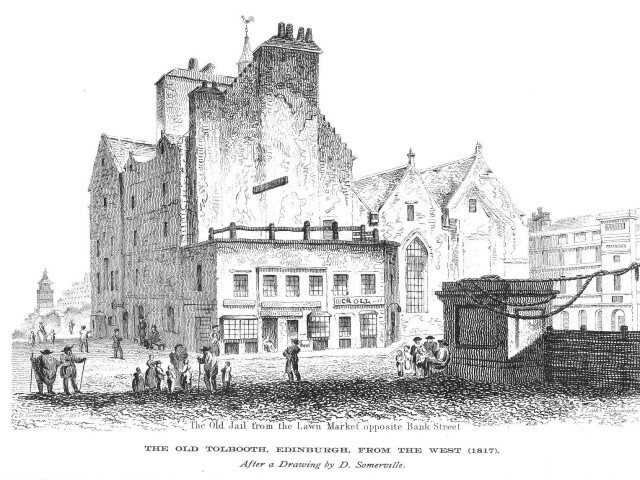 Some of the old records of the Edinburgh Tolbooth have been saved for posterity in “The Book of the Old Edinburgh Club” (volumes 4-12), including names of prisoners sent to Dunnottar and transportation. 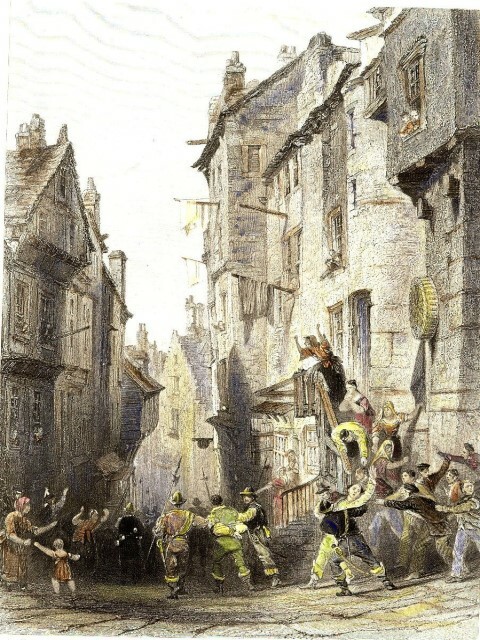 A prisoner being taken down to the Grassmarket for execution. 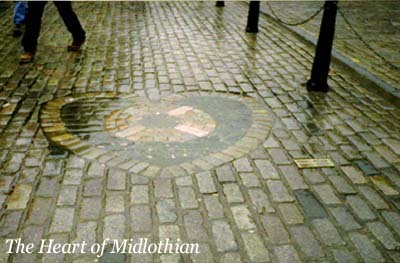 Extracts from the records of the Edinburgh Tolbooth.